Best Years; Give Me All Your Love Tonight; Love Ain’t No Stranger; Is This Love; Steal Your Heart Away; Forevermore; Six String Showdown; Love Will Set You Free; Drum Solo; Fool For Your Loving; Here I Go Again; Still Of The Night. 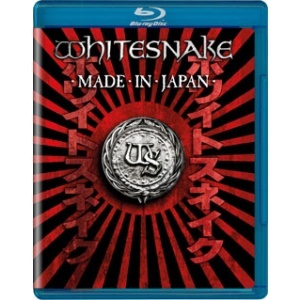 Multi platinum band WHITESNAKE co-headlined the LOUD PARK festival on October 15th 2011 at Saitama Super Arena in Japan during their “FOREVERMORE WORLD TOUR”. 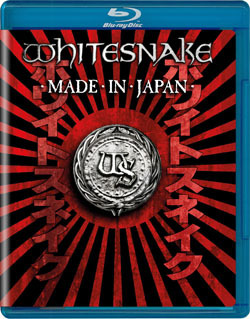 The performance was initially only recorded for Japanese TV and future Loud Park promotions, but after 3 songs were broadcasted on a Loud Park highlights program in Japan, WHITESNAKE received unprecedented requests for this performance to be made available for a general release. Featuring WHITESNAKE’s best known classics and quite a few recent musical surprises that the fans, new and old, have been clamouring for: blistering guitar work from six string guitar slingers, Doug Aldrich & Reb Beach, both celebrating their 10th anniversary with the band this year. The earth-shaking rhythm section, ‘The Wrecking Crew’, Michael Devin (bass) & Brian Tichy (drums) anchoring the deep & dirty foundation of the SNAKE, accompanied by the swirling sonic tapestries of special guest keyboardist Brian Ruedy & of course, the chest beating, seductive vocals of frontman & founder, David Coverdale. The Mighty Snake takes you places you have never been before & brings you back safe & ALIVE! The ‘Forevermore’ songs alone are worth the price of admission, not forgetting the classic Whitesnake songs, “Is This Love”, ”Still Of The Night’ and “Here I Go Again” all preformed at the height of their musical powers. Another amazing night to remember and to share with all the fans!